Learning the ins and outs of the Ukulele can be stressful. Our tutorials will help you get to grips with this wonderful instrument. A quick video tutorial by Manitoba Hal to teach you how to play Jambalaya on the Ukulele by Hank Williams. Jambalaya is a basic two chord song but with some nice twists, such as string muting, to push beginner players further. Give it a try and learn to play Jambalaya. Learning a new chord on the ukulele can be a painful experience. After first seeing your new chord, you’ll often find yourself looking it up for months before you can recall it at will. 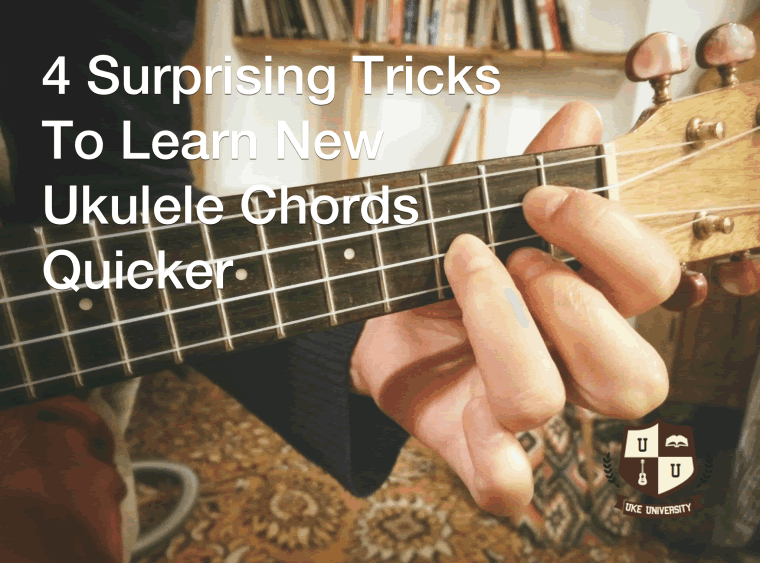 But luckily there are four simple and surprising tricks you can use to learn new ukulele chords quicker. Let me know if this is familiar, your learning a new chord, at first it’s almost impossible to get your fingers into the right positions and once they are you hear a dull sound from muted strings. After a while you can hold the chord down but every time you have to spend a while remember exactly which chord it is and where your fingers need to go on the fretboard. And don’t even get started about the excruciating pauses between chords when you try to switch between them. The good news is that you aren’t alone (it happens to everyone) and the even better news is that there are four simple tricks you can use to help you progress through those uncomfortable stages quicker and reach a proficiency where you can seamlessly switch between a string of obscure chords. Did you know that your mind remembers technical physical skills better when you practice late at night? It’s true, practicing just before you go to bed will help you learn a technical skill much better than practicing first thing in the morning. Another good reason to practice just before you go to bed (rather than watching TV or staying up all night on the computer) is because looking at a screen (with its bright blue light) makes it harder to get to sleep. If you get away from the screen and practice at night, you’ll speed up your learning and get a better nights sleep. Win Win. When you come across a new chord, get your fingers into the right position and then gentle lift your fingers off and reapply them to the correct positions again. This is practicing the movements that you have to make with your fingers to get them into the right position rather than practicing just the chord IN the right position. This will help you speed up your transitions between chords. This also helps you to teach your fingers how to move correctly and builds up their dexterity. 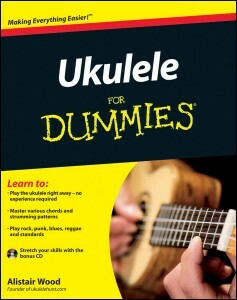 This is really important if the Ukulele is your first instrument as they won’t be that efficient. However, just be careful to insure that you are putting your fingers on correctly, strum a chord each time to make sure that you are correctly applying your fingers. Moving from some chords to others are more difficult that others. In some cases you just have to add one extra finger on, no problem. With others you have to take every finger off and then reapply them in a different order. By practicing common transitions you can help yourself get better at the chord transitions which actually happen in songs. 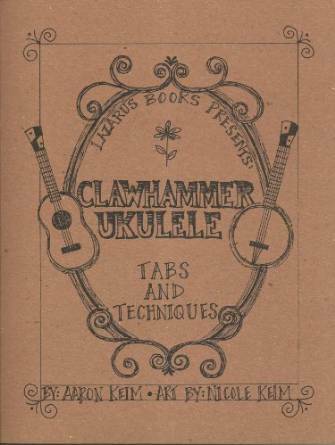 A good tip is to download our list of Ukulele key charts. These show you the chords which are most likely to be used in the same songs. Try changing between these chord patterns and you’re off to a winner. Here’s a big secret about motivation, there are two types of motivation. Extrinsic, where you do things for the benefits you get for doing them (for example you study for the exam so you get a promotion and pay rise at work). The second is Intrinsic motivation where you do things for the value of doing it (for example you cook because you enjoy the process of mixing ingredients and experimenting with flavours). 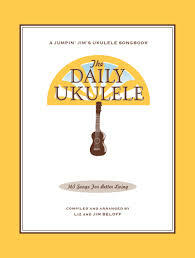 Of course, many activities have elements of one or the other but studies have shown that intrinsic motivation (where you play ukulele for the pure joy of playing it) is more motivating than extrinsic. The practical application of this is that if you have to learn songs that you don’t really like, your not going to be that motivated (and may lose motivation). BUT if you learn songs which you love to play then your motivation is going to grow and make practicing feel like a lot more fun and less like work. Learning chords takes time, even with these tricks, but at least with these four tricks you can make sure that you learn quicker and can get better at playing songs. In no time you’ll be seamlessly transitioning between chords and if you learn the most frequently occurring chords first, then you’ll be sure to maximise the effectiveness of your learning. What chords do you have difficulty playing?